A funny thing about this cover is that is pretty much uses the new style we've been doing for the backgrounds of late, but was done before we actually started doing it with the pages. It's not really all that noticeable I think though, especially given we didn't do any background shading in this case. Which we really should've now that I think about it. 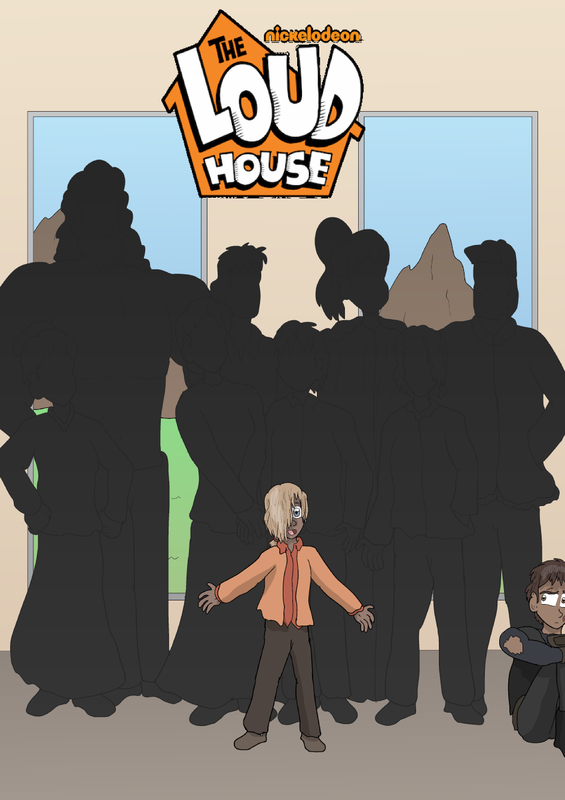 All I've really got offhand but hopefully everyone enjoys, been really liking how the scripts and pages have been coming together on this one. Hopefully everyone enjoys it. Huh... Yeah, damn, I completely forget we were doing that style of background for this... I guess because of all those silouhettes it just streamlined everything... Know I said this a lot in the filler leading up to this but really like the family we meet in this chapter a lot. Oh, right, on the subject of families, I also threw up an alternate version of the cover as a joke for Martin. Take a look at it here. The title is dripping with irony, what in the world is going to happen now.